Monthly Lifestyle Buzz for July 2018 — Meridian Wealth Management, LLC. When you buy organic produce, what are you getting for the money? If you put off dealing with financial matters, it may be a matter of perception. Why you may want to “shift gears” as you work out. According to Consumer Reports, organic fruits and vegetables are on average 47% more expensive than their conventionally farmed counterparts. The “organic” designation means the food has at least 95% organic ingredients (by U.S. Department of Agriculture standards) and was, presumably, grown without the use of synthetic fertilizers, pesticides, and GMOs. Many people procrastinate when it comes to making financial decisions. Others hate dealing with them even if they make them with time to spare. A new set of University of Florida studies attempts to get at the roots of this apprehension, and the conclusion of the researchers who undertook them is certainly worth sharing. If you consider yourself fit, interval training might make you fitter – and save you time as well. The basic principle of interval training involves varying the intensity and speed of your workout: you start slow, speed up, slow down again, and repeat. The entire workout may last less than ten minutes. Start by preheating your oven to 410 degrees. Next, prepare the marinade for your chicken. To do this, use a food processor to blend olive oil, lemon juice, Greek yogurt, garlic, mint leaves, oregano, red wine vinegar, cayenne pepper, and a pinch of sea salt and black pepper. Then, place mixture into a sealable plastic bag, add cubed chicken to the bag, and allow to marinade in your refrigerator for a minimum of one hour (up to 12 hours). 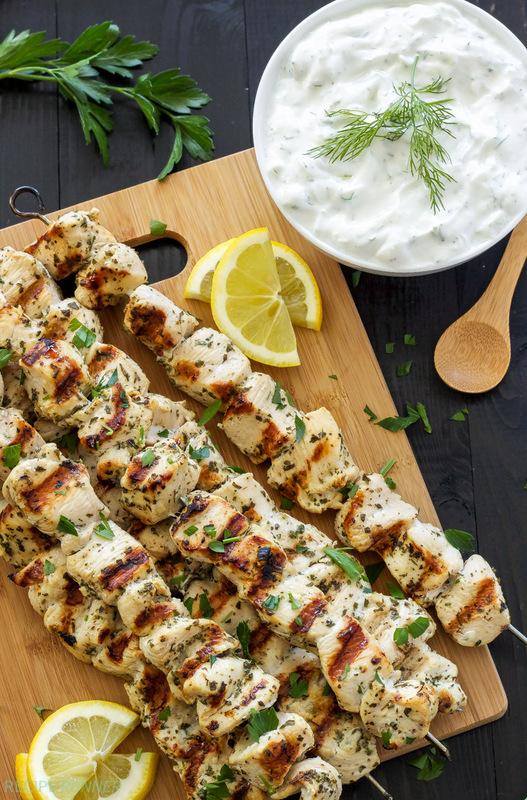 Remove chicken from the refrigerator 10-15 minutes before you are ready to grill them and place onto skewers. Grill the chicken for approximately 15-20 minutes (or until it reaches and internal temperature of 160 degrees Fahrenheit). To prepare your Tzatziki sauce, simply place all ingredients in a bowl and mix well. Serve skewers and dipping sauce together, and enjoy!